I play a variety of instruments at a variety of skill levels. Oh boy, does the skill level vary. 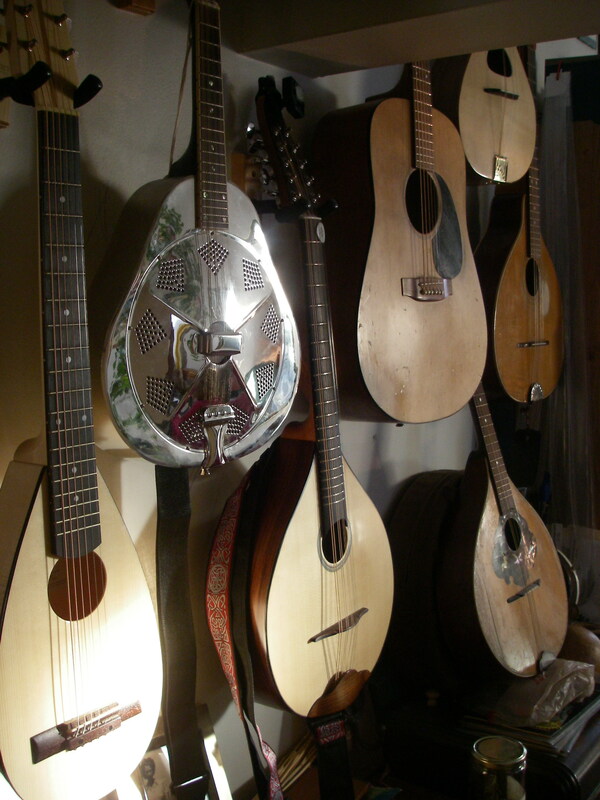 I play guitar, mandolin, cittern, bodhran, pennywhistle and fiddle. Although in my youth I was very much a rock/metal sort of guy I play traditional Scottish and Irish music these days. I mostly play lounging in my rocking chair but sometimes I get out and busk. Busking is a fun, nonstressful and moderately lucrative way of performing in public. Most of those videos were recorded for the Mandolin Cafe Song-a-Week social group so they are maybe not as polished as they could be but it gives a general idea of my playing.